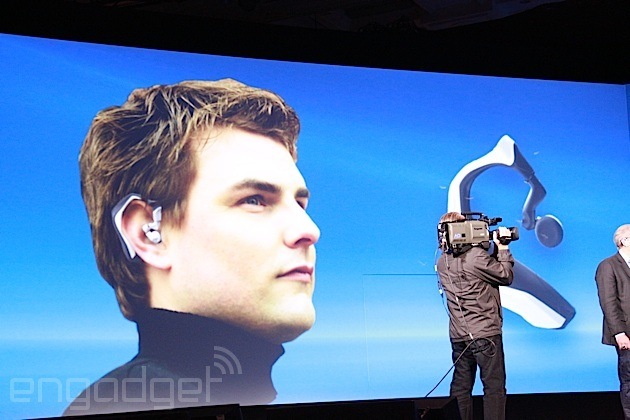 If there's one buzzword that sums up CES 2014, it has to be wearables. There has been everything from cameras to earbuds. Not to mention a veritable deluge of smartwatches, wristbands and fitness trackers. Even Intel is in on the game, bringing us some of the show's most memorable wearable tech: the baby onesie, a smart mug concept, an earpiece and even a watch of its own. 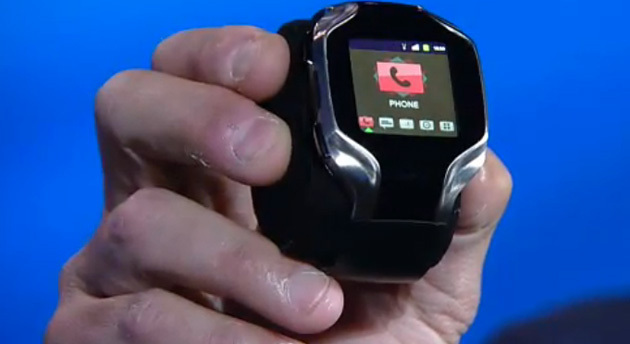 There's a good reason why Intel is investing in wearables, though -- and his name is Mike Bell. He's the general manager of the New Devices Group at Intel, and he thinks wearables are a massive opportunity. One problem though: He also thinks we're currently doing it wrong. To that end, he's tasked with shaping Intel's wearable future, which, if all goes well (for him), will be our wearable future too. When you're heading up the new devices team at Intel, we imagine you try and look a little further than what's currently trending; ideally you'd be creating the trends. When Bell (the man in said position) enthusiastically shows us a set of headphones that measure your pulse, we can't help feel a little... like it's something we've seen before. It's not until he explains that the ones he's brandishing do this with no extra batteries or cables, meaning you won't need to charge them. For Bell, this is how wearables should be: smart, unobtrusive, effortless. It was Valencell (a company that makes biometric sensors) that came to Bell and his team with the headphones concept initially. "They had the reference design, which was their sensor connected to a white horseshoe-shaped thing that goes around your neck with batteries. I saw that and the team said, 'What do you think?' I said, 'It's great, but you have to lose the batteries and the Bluetooth.'" If you brought many of the wearables revealed at CES this year to Bell and his team, it's likely that you'd get a similar response -- something along the lines of "please try harder." It's clear what Intel's vision is: to provide a platform for wearable technology that doesn't mean having another thing to charge, another control web-panel to log into or another data log to maintain. Bell would rather that it doesn't require you to do anything different at all, yet you still get benefit out of it. "Most wearables are a one-off that does this, or does that, and doesn't communicate [with others], and you have to upgrade them. Right now, I think it's so fragmented; I don't think people are thinking through that entire experience," he tells us. Despite the perceived limitations of current products, Bell is fully aware of the hype surrounding the product category; this is something that he thinks causes its own problems. "The hype just gets bigger and bigger and bigger -- to ever achieve that, you need to think about the whole life cycle, the whole washing it, charging it, cleaning it, storing it. You need to actually think about every aspect of what somebody's going to do with that, not just 'Hey, isn't that cool.'" So if hype, weak implementation, walled (platform) gardens and a poor user experience are the problems, what are the answers? Bell's perspective is simple. The category is still young, and undeveloped enough that he thinks Intel can step in and try to push it in a different direction and help define it. It's clear that Intel is willing to invest heavily in this market, and that's not entirely surprising. After sitting pretty in the desktop space for decades, it's possible the chip maker never really expected the mobile industry to slip between its fingers, but it did. It won't want to make that same mistake with wearables. Not least because it could also provide it with a backdoor into mobile again, if it can gain enough traction with device makers -- particularly in a market where tight integration and cross-platform functionality are vital. It's no surprise to learn that Intel -- under Bell's supervision -- has assembled a handpicked team of experts to usher in its wearable-technology vision with a specific focus on how to improve the human interface. "We're working on some very interesting technologies that will hopefully just make it so natural to interact with these devices so that it isn't as artificial as it is today. It doesn't feel so sci-fi; it feels normal." The last, and possibly most important, piece that needs to be in place for Intel's vision of a wearable future to work is open data. In fact, above and beyond any other point, Bell can't seem to stress just how important this is. "Going forward, these visions of the connected houses and connected wearable devices without an open data exchange format, none of this is going to happen." This is something that Intel is already taking action to address. Its open-source Galileo platform was a step in this direction, but it's the new, equally open, Edison technology -- announced right here at CES -- that it hopes will help provide the light bulb moment for the industry. As for what's next? Bell is tight-lipped, only giving us: "There's lots of stuff. We're hoping to surprise you a bit more." Along with a wry smile.